The authorities in Elizabethan England in the 1560s were concerned about the number of displaced people and vagrants as the population grew rapidly. One vagrant who had been at the fair at Sutton Coldfield and managed to avoid the constable set off to try his luck at another fair. He went to Shrewsbury, but was taken up and tried at the Quarter Sessions there; the court determined that he, along with other vagrants, should be fined one shilling, or, if he could not pay or read, he must hang. Our poor man could not read; had he been able to, he could have claimed “benefit of clergy” and be tried in a more lenient ecclesiastical court; the only people who could read, it was assumed, were clergymen. More and more lay people were becoming literate by 1600, however, a movement driven by partly by the desire to read religious texts as Protestantism advanced, and boosted by the publication of the King James Bible in 1611. 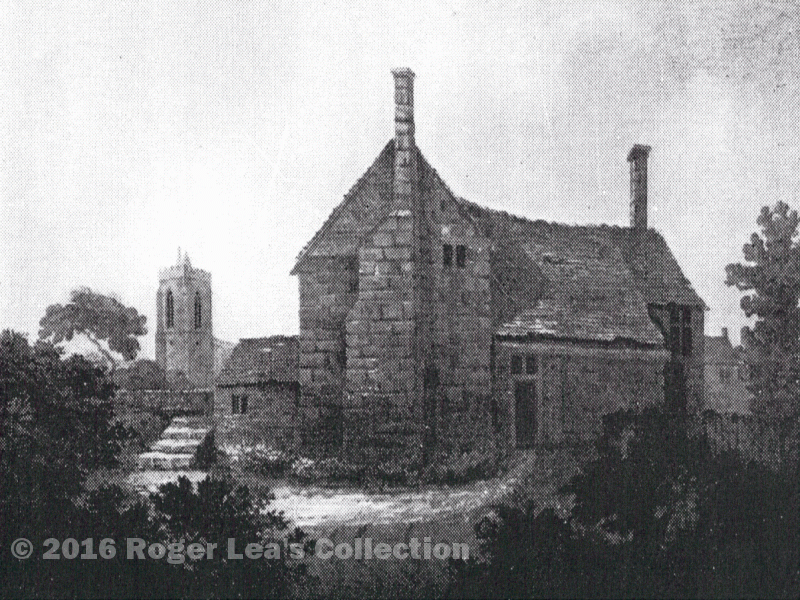 Sutton Coldfield had a succession of Puritan Rectors whose sermons stimulated people to read for themselves, and to have their children taught. The Grammar School in Sutton, originally teaching only Latin and Greek to the children of the gentry, began taking in some local boys for elementary education. John Elly, schoolmaster there from 1647 - 1659, had at least twenty desks and stools in the school house, presumably for the use of the elementary boys, (the grammar school students were taught in a separate building, the grammar school itself), and he built a stone extension to the school house, perhaps to accommodate them. There may have been other opportunities to learn to read - the curate may have run a Sunday school, and the Parish Register records the burial of Mr. Barton, a schoolmaster from Hill, in 1690 - there must have been enough people in the north of Sutton prepared to pay for their children’s education to support a school there. In 1683 there was a petition about use of the commons to which 145 names were attached (Sutton comprised just over 300 households at the time). Sixty-seven petitioners signed their names, indicating a degree of literacy, while seventy-eight made their mark, indicating inability to write (though some of them could probably read). Those who made their mark included gentry as well as labourers and tradesmen, while some of those who could write were tailors and farmers. Only six women put their names to the petition, all widows, and of these only the two gentlewomen could write. 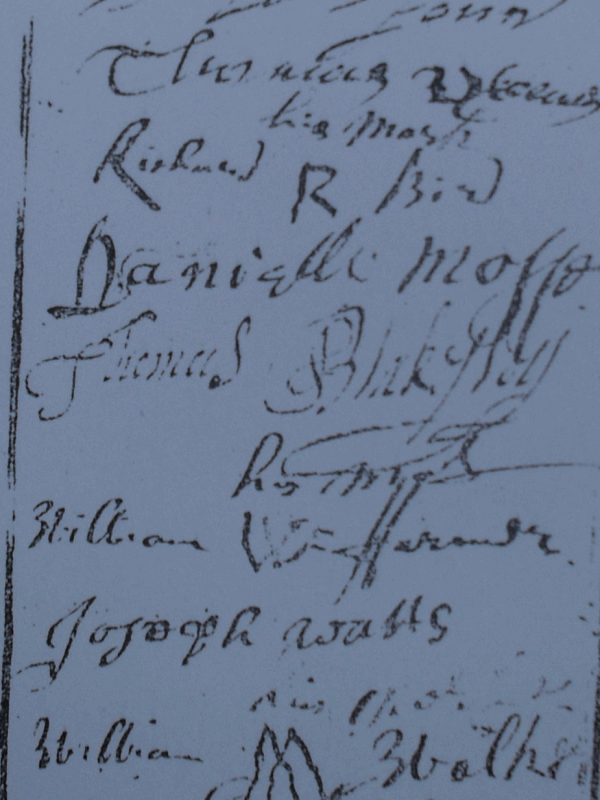 Some of the names on the 1683 petition. They are: Thomas Keene; R the mark of Richard Bird; Daniell Mosse; Thomas Blaksley; W the mark of William Farmer; Joseph Watts; and an inverted w the mark of William Walker.